Bajaj Auto today announced that it will increase its capacity to produce three-wheelers and quadricycles to one million units a year. This move comes as demand for these vehicles increases with permits being released for these vehicles in Maharashtra, Karnataka, Andhra Pradesh and Delhi. Further, at the SIAM conference held today, minister for transport Nitin Gadkari announced that the permit regime will be abolished for three-wheelers running on alternate fuels. This move will also provide added impetus to sales. Bajaj will benefit the most with these developments by way of its 86 per cent market share in the alternate fuel three-wheeler market. 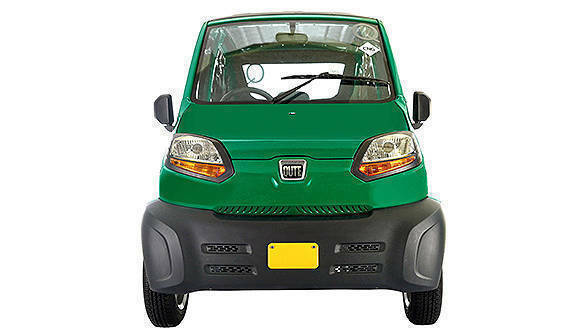 This will possibly boost sales of the Bajaj Qute quadricycle which is available in CNG/LPG variants and is also being approved by state governments for taxi applications. Another reason for this expansion move is the 65 per cent growth in three-wheeler and Qute volumes in international markets over the past year.